For those of you, gentle readers, who have taken part in the Great Margaret River Gourmet Escape, or who are well aware of the best of Western Australian wine, may well know of the new(ish) winery Fraser Gallop. 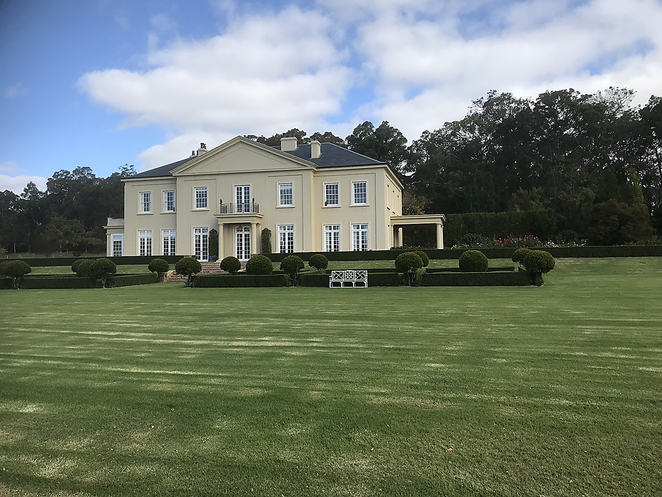 Owned by Nigel and Dorothy Gallop who planted the vines in 1999, Fraser Gallop's first vintage was at the early age of 2002, with the range of wines now widely expanded, while maintaining the rule of 'no imports'. Every grape used in Fraser Gallop is grown on the property. Nor are Nigel and Dorothy absentee landlords. They live on the property in a house they designed and built and which looks like a Georgian Manor House scooped up from Bath by a giant hand and nestled in the rolling downs of Margaret River. Surrounded by extensive lawns, formal box design herbaceous borders, wide terraces and shaded by luscious English trees overlooking an artificial lake that might have been created by Capability Brown himself, the home is formal, charming but still welcoming and homey. The perfect setting for the long table lunches thrown annually in a huge white marquee for the Great Escape. The kitchen of the house is overseen and used often by Dorothy, one of the area's best-known hostesses. She designed it around the stove, which was made specially in France and imported to have the kitchen built around it. Both Nigel and Dorothy give generously of themselves and their time to the local community and share their good fortune with others hospitably. Now, Dorothy is what in our restrained way, we food writers call 'a damn good cook'. Never formally trained she has a natural flair and love honed by frequent training courses at some of the best culinary schools and chefs in the world. So when she offered a short one-day cooking class for a limited number, the tickets were snapped up within minutes. The morning began slowly with an introduction, some mini muffins fresh from the oven, some delicious coffee and meeting everyone. There were eight of us, in crisp white aprons emblazoned with 'Fraser Gallop', the charming Dorothy and her hard-working assistant Suzie - known apparently as 'Suzell', from everyone saying 'Sue will do it', shortened to 'Sue'll'. 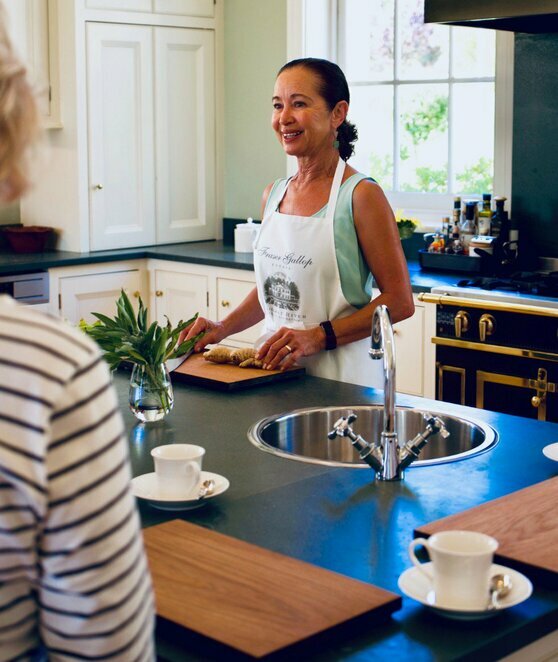 I suffered from a severe case of kitchen envy once I looked round Dorothy's charming, well-designed, well-appointed kitchen (with its own cool room!) but unlike many people with flash kitchens, Dorothy actually uses everything often and well. 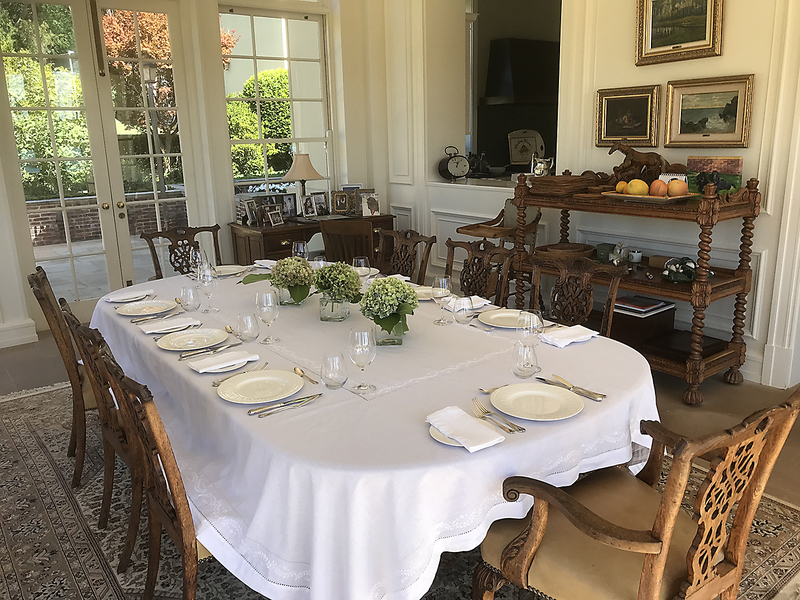 The plan was that we'd spend a few hours preparing and cooking a four-course meal, then eat our labours, accompanied by some choice Fraser Gallop wines. 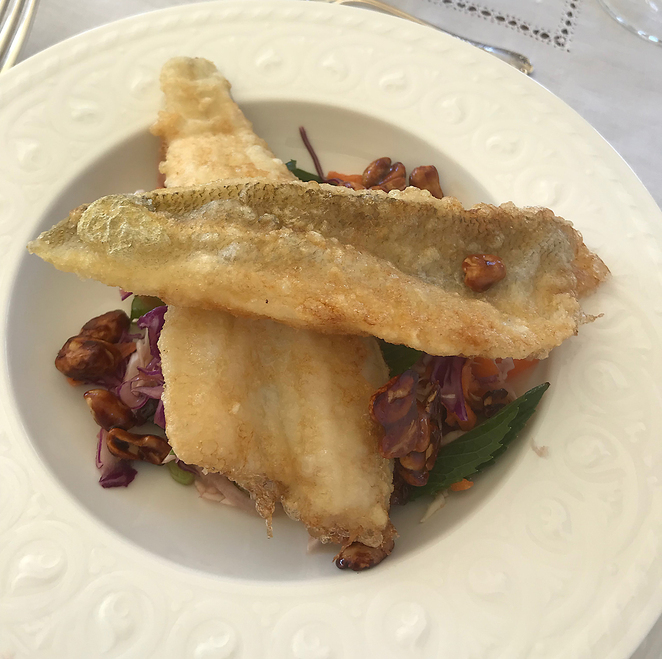 The menu consisted of some deceptively simple dishes - Salmon Pate, Asian slaw with spicy ginger dressing, Tempura battered whiting with coriander and mint sauce, Confit duck with spicy orange sauce finished by Mango mousse. The first thing that strikes one about Dorothy after her charm, is her powerful passion for food. A passion she has had from childhood and which communicates itself in every action, from the way she touches the produce, prepares it and talks about it. Deeply knowledgeable about the local produce she chatted away, imparting gems of information, answering questions all the while her fingers flew peeling, cubing, slicing and dicing. A few of the less challenging tasks, like peeling the fresh ginger and slicing the green beans were farmed out to us, but honestly, the real appeal of the day was listening to Dorothy and watching her work. She has a number of short cuts that she imparted, but corners were not cut on either quality or freshness. Oranges, lemons and limes from her own garden, whiting fresh from the fishermen that morning, herbs that had been growing only hours earlier and while we made or watched the food made, some really cannot be done in the time. For example, salmon pate, which we made, needs to cool overnight, so Dorothy had prepared one the day before. And confit of duck, prepared traditionally, takes three days. 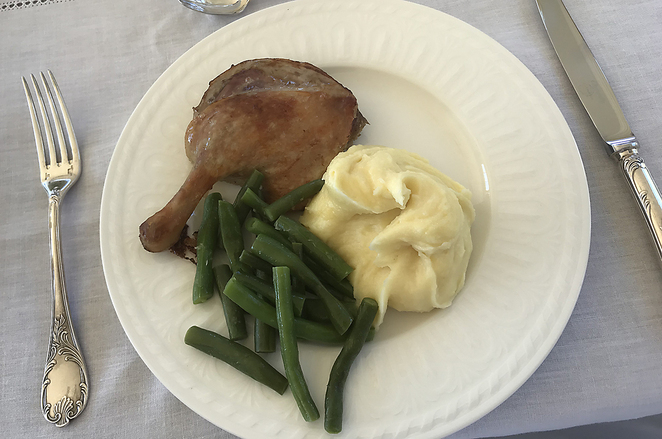 So we did get 'here's one I prepared earlier', but I was so pleased to watch the process, because I had made Duck Confit not long before to less than satisfactory results - but I shall do better next time with Dorothy's hints and tips. 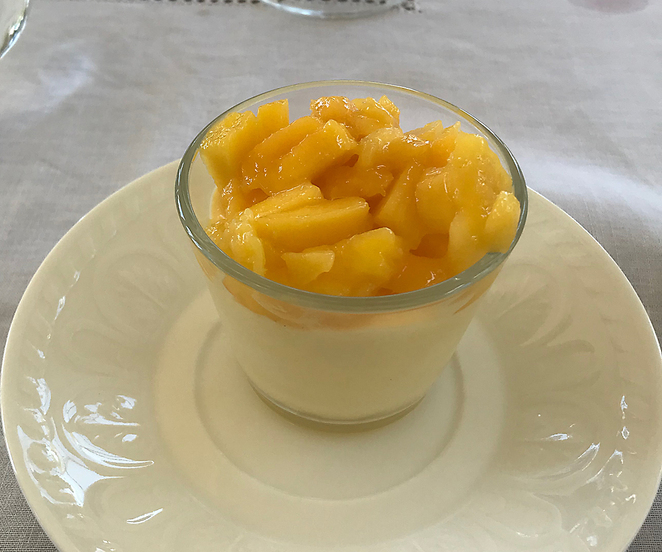 The day was marvellous, made so by Dorothy and the fact that the eight of us were united in our love for food and we went together harmoniously, despite that we came from all walks and degrees of expertise. 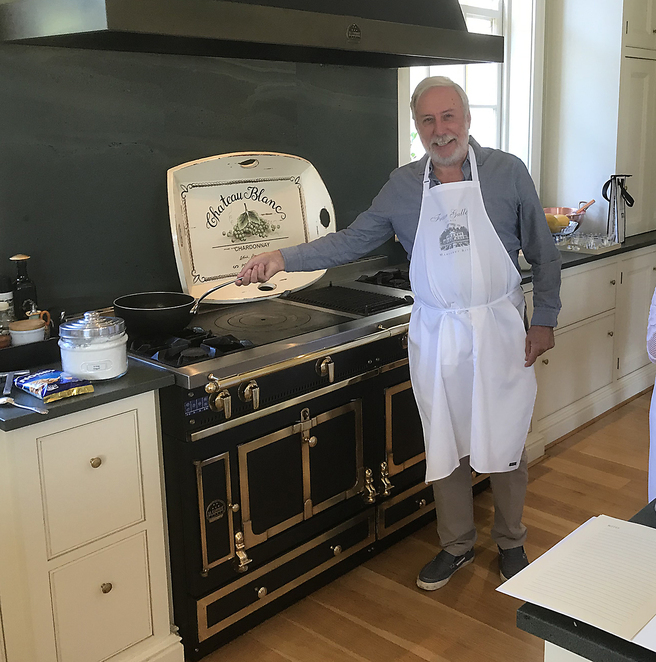 I have been to several of these days in various kitchens before and they always go well and are great fun, not to mention the knowledge gained and new things tried. We left, replete and happy, with our copies of the menus and recipes, filled with determination to 'go forth and cook better'. Well fed and awash with the best of Fraser Gallop's wines, which are very good indeed. It is my understanding from Dorothy that more of these 'Cooking with Dorothy' days are planned with the next one in spring on Moroccan foods. Keep an eye out and, trust me on this, book early. Great article. If you could learn by eating I 'd be an expert! Great pictures and great article. It flows so well! Congrats on the silver!